The Savvy Stamper: Happy Birthday to My Son! I can't believe my firstborn is almost 6 already! I really don't know how time has flown by so fast. Actually, his birthday is not until the end of December, but I wanted to put his card together early so I don't run out of time and have to do it last minute like I do everything! He saw this card kit sitting on my craft table the other day and really liked it, so I thought it would be perfect for him. 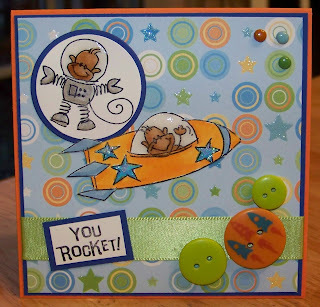 I used the sketch from Sketch Saturday this week for the card. I received these supplies in a card kit, but I added Crystal Effects to the rocket ship and the helmet of the images (colored in with Copics) and used Crystal Stickles on the stars. I also added the ribbon. Aw, this is sooo cute! He will love it!! The crystal effects really rocks on the helmet. How adorable and Happy Birthday to your son! Wonderful card and adorable image. Oh how cute! This is just the perfect boy card! I love your images with the crystal effects - WOW! 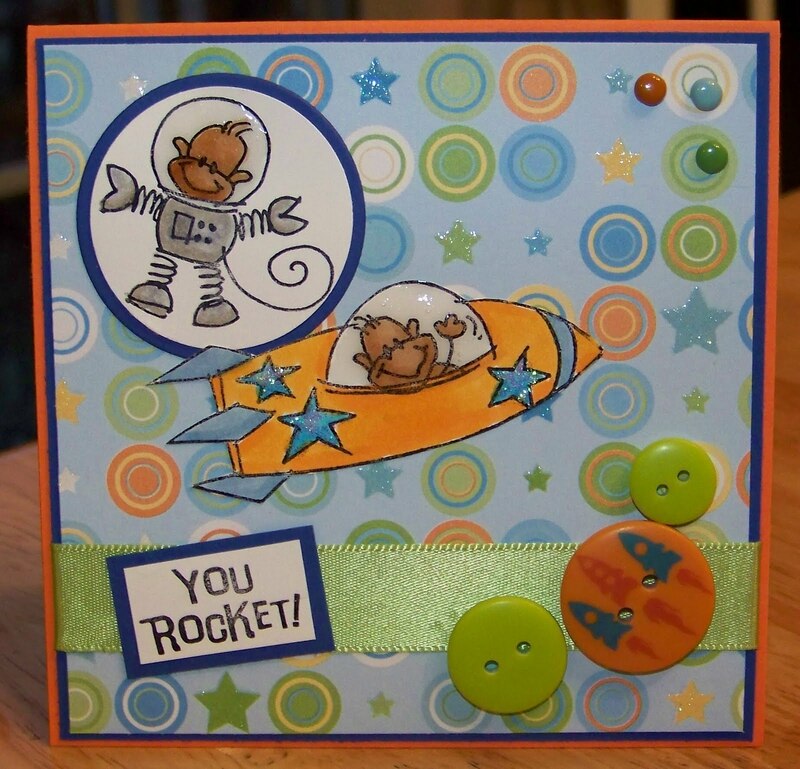 Great DP and embellishments! This looks like one of my kits...I have that DP and buttons (and of course thos stamps) hmmmmm!!! I love the crystal effects on it!!! Too cute! More of that fantastic DCVW glitter stack..